The inside story of the woman poised to become the next U.S. President, “HRC: State Secrets and the Rebirth of Hillary Clinton” (ISBN: 978-0-8041-3675-4; Crown Publishers) by Jonathan Allen and Amie Parnes is a delightful rarity: a serious book that is fun to read. 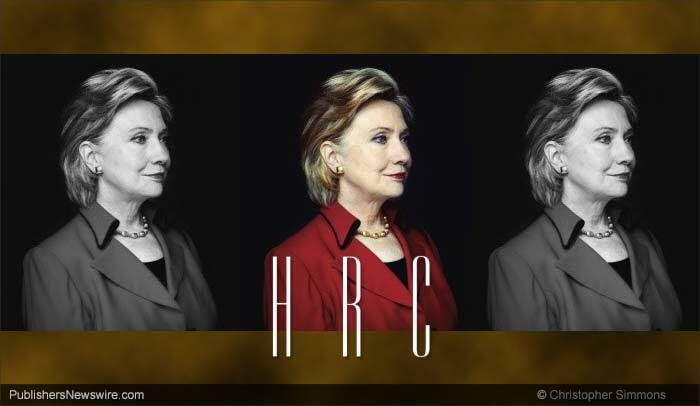 Neither a song of praise nor a hatchet-job, “HRC” is a fast-paced yet significant look at the 67th Secretary-of-State of the United States of America: Hillary Rodham Clinton. As an overview of her work during the first term of Barack Obama, the book is quite good; as insight into Clinton’s persona, the book is excellent. The writing by Jonathan Allen (White House bureau chief for Politico) and Amie Parnes (White House correspondent for The Hill) makes things zip along at a good clip. I didn’t want to put down the volume once I started any chapter and I eagerly looked forward to returning to it when interruptions occurred. It’s quite well-researched: in addition to relying on public records, speeches, interviews, and news reports, the authors interviewed more than 200 people across the entire spectrum of American politics — everyone from loyal members of Hillary’s and Obama’s staffs to such traitorous effluvia as Darrell Issa. Of the two most-discussed chapters, one is right up front. “Hillary’s Hit List” sounds like it will be both ominous and juicy but it contains acts that are no more of an eyebrow-raiser than what probably occurred in your family when compiling a list for wedding invitations. It makes for good headlines to discuss this topic, but there is little of import here and most action relating to the list was carried out by Bill, not by Hillary or her staffers. The other chapter making headlines is the one titled simply “Benghazi.” Presenting a brief overview of the many problems leading up to the tragedy, the chapter actually shows quite a lot of GOP disingenuousness occurred as the State and Defense Departments coped with the horror of the event and its repercussions. One observation on the aftermath the terror: rather than harming Hillary, the constant carping of Congressional Republicans actually besmirches the memory of the four fallen Americans. In the face of typical disgusting behavior of conservatives, Hillary is shown to have acted with reserve, dignity, and intelligence. represent the United States abroad as it tried to regain its standing in the international community. President George W. Bush’s pursuit of the Iraq War, his policies on the treatment of detainees, and his polarizing rhetoric had turned international sympathy for America in the wake of the September 11, 2001, terrorist assault on the United States into resentment. As much as any top official in the Obama administration, Hillary had been personally invested in laying the groundwork for the moment when Bin Laden finally appeared again in American crosshairs. As the person responsible for direct negotiations with the Pakistanis on diplomatic and development matters, she was the velvet glove on the fist of American force in Pakistan. Her job as Secretary of State brought her into close contact with some odious characters, just as when she was a Senator. The book devotes nine pages to the antics of Issa, another nine to the ravings of that little racist Rand Paul, and several mentions of such anti-democratic scum as Mitch McConnell. The rightwing nutjob coming off the worst in the book is the perpetually befuddled Marco Rubio, whose lack of qualifications for his office are comical, to say the least. “The posture he hoped to strike was that of a serious investigator” the authors say of Rubio at one point. On another occasion they mention “his careful cultivation of a narrative in which he was a serious player on national security issues.” That is something which is laughable for any RWNJ but especially pathetic when involving this particular big-suit-wearing little boy. With copious quotes, both attributed and on background, the book puts you right up close and personal with Hillary and nearly everyone around her during her four-year term. The portrait that emerges is of someone much smarter, funnier, and tougher than many of us might have imagined. Hillary’s farewell event upon leaving the Senate was quite telling. There were tear-filled speeches and a lot of hugging. But there was something else: bipartisanship. “If Clinton was popular in her own caucus, she was also well regarded across the aisle. Republican senators Susan Collins, Lindsey Graham, Bob Corker, Olympia Snowe, Johnny Isakson, and John McCain showed up to honor her and her eight years in the upper chamber. So in June 2011, when a pregnant Huma Abedin found herself on the cover of all the tabloids because of her sext-prone husband, Anthony Weiner, the Clintons — especially Hillary — grew ultraprotective of her. Hillary, who had logged her own share of sleepless nights during the Monica Lewinsky scandal, counseled Huma and provided hugs and words of wisdom while the Weiner imbroglio metastasized. Usually the people she dealt with, from low-level staff aides in her own building all the way up to the president of the United States, walked away with newfound respect for her. Often they found themselves liking her more with each interaction, even if they had been worked over. In that way, she proved herself to be the ultimate politician, a strategic power player whose hard work, command of politics and policy, and deft calculation produced more admiration than animosity. She was definitely someone other politicians wanted on their side. The suffering gnawed at her… The way Hillary mourns, friends say, is to pour her emotion into healing and fixing, an approach deeply rooted in the teachings of John Wesley, the founder of Methodism. That’s what she did when she returned from the Congo, even though she was supposed to have some downtime. She reached out to a wide circle of friends, aides, and spiritual advisers to see what could be done for the women of the refugee camps. “She was so mortified by what she heard, she was e-mailing everybody while she was on vacation,” said one State Department source. All decent people would be pleased to have HRC leading the nation. Would many of us actually prefer Elizabeth Warren or Bernie Sanders as president? Of course. But would we act in a pragmatic manner and happily welcome Hillary? Absolutely. This original review is Copr. © 2014 by John Scott G and originally published on PublishersNewswire.com – a publication of Neotrope®. All commercial and reprint rights reserved. No fee or other consideration was paid to the reviewer, this site or its publisher by any third party for this unbiased article/review. Editorial illustration based on book jacket created by and © Christopher L. Simmons. Reproduction or republication in whole or in part without express permission is prohibited except under fair use provisions of international copyright law. 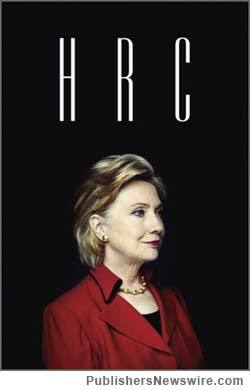 "HRC: State Secrets and the Rebirth of Hillary Clinton" by Jonathan Allen and Amie Parnes, Crown Publishers, ISBN: 978-0-8041-3675-4, 448 pages, $26.00; 2014.